Early books were issued in simple paper wrappers or bindings. The owner then took his new purchase to the local bookbinder where it was bound to his liking. As the production of books increased with the coming of the industrial revolution, cloth was introduced in the early 19th century as a less costly alternative to leather. In the United States and Great Britain, publishers began to issue books in cloth bindings. No longer was it necessary for the purchaser to have each new book individually bound. In France, the tradition of issuing books in paper wrappers continued in part well into the 20th century. The cloth and paper bindings we produce, are like our leather bindings, constructed with care to ensure usability and durability as well as providing a pleasing appearance on the shelf and in the hand. 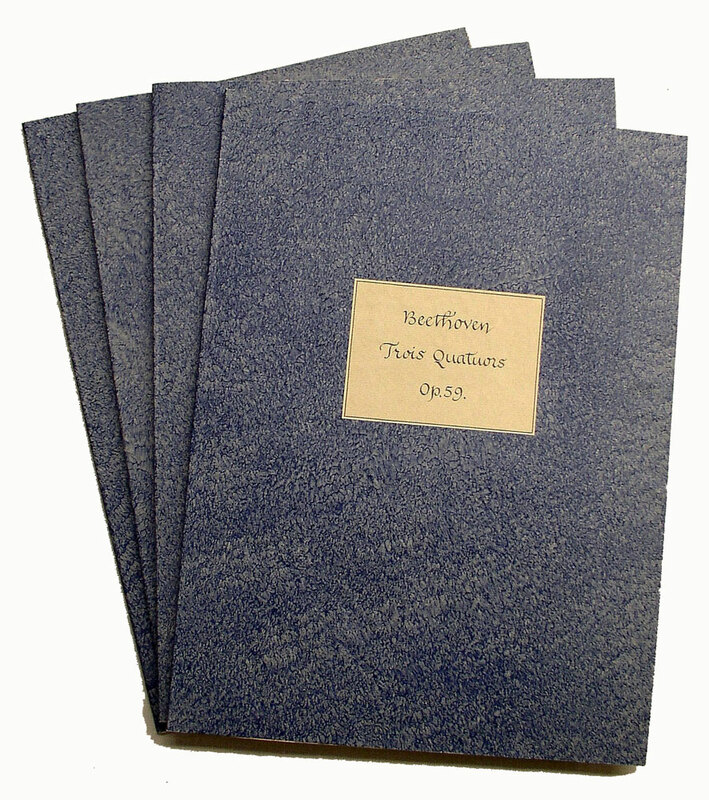 Like leather bindings, cloth bindings may be full cloth–the boards and spine covered with a single piece of cloth; half cloth–the spine covered in cloth and board corners with the remainder of the boards covered in paper (or a different color cloth); or quarter cloth–the spine covered in cloth and the boards covered in paper (or another color cloth). 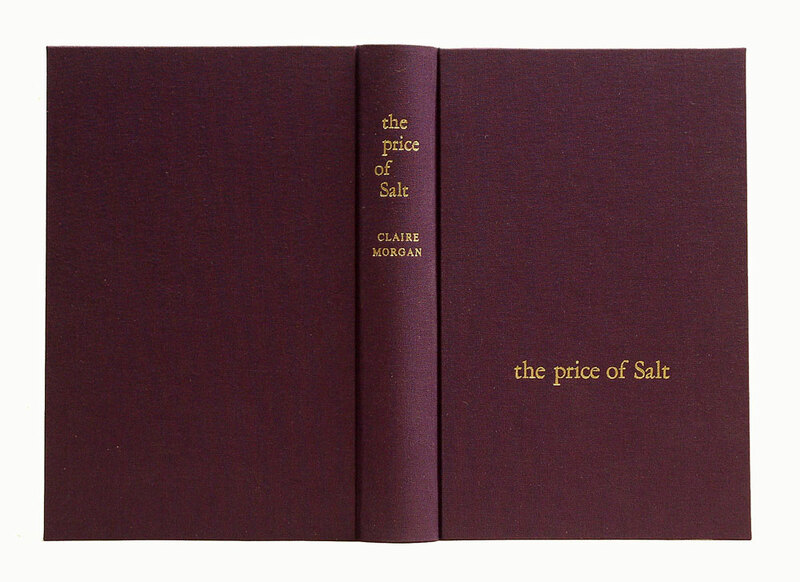 The Price of Salt illustrates a full cloth binding with the titling arranged to echo that used on the original volume. Burney’s History of Music in four volumes shows bindings of marbled paper over boards with printed paper labels. This is a sort of binding that might have been used at the time of issue of the book if the owner did not wish to invest in leather. Two additional examples of French and German paper bookbinding may be seen in this blog post on decorative paper. A set of four music parts by Beethoven bound in pastepaper wrappers. The music parts for Beethoven’s Trois Quatours are bound in simple pastepaper wrappers with labels lettered in period-style calligraphy. Pastepaper is a decorative paper used as an alternative to marbled paper. Traditionally, it found more favor in Germany and France. With the arts and crafts movement in Britain and the United States in the early 20th century, pastepaper found wider use for a time here as well.